Why Hire Bow Valley Kitchens for Cabinet Solutions Calgary Homeowners Want? When it comes to kitchen renovations, it is important to choose the right kitchen cabinets that will enhance the look and style of the kitchen. This is where a kitchen cabinet professional comes in. With the right design, materials, and craftsmanship, a kitchen can turn into a very beautiful place. Kitchen cabinet professionals at Bow Valley Kitchens can make adjustments without wasting time or money of the Calgary homeowners. They will choose materials and products that meet the quality, value, and functionality the homeowners want. Bow Valley Kitchens is a one-stop shop for all kinds of kitchen cabinets, providing the best cabinet solutions Calgary homeowners want looking for their home renovation projects. Kitchen cabinet professionals at Bow Valley Kitchens will provide the look and functionality that homeowners in Calgary want from their kitchens. Cabinets are the focal point of a kitchen. The way kitchen cabinets of a house are built and designed represents the personality of the homeowner. Only experienced kitchen cabinet professionals can provide the cabinet solutions Calgary homeowners are looking for their kitchen renovation projects. There are many benefits of choosing custom kitchen cabinets. Kitchen cabinets are not just simply boxes with shelves, drawers, and doors. Rather, they are a kitchen’s furniture. An expert kitchen cabinet professional can build them by hand, using quality materials and with excellent craftsmanship. Bow Valley Kitchens can help people choose the right kitchen design options. They will help the homeowners address issues, such as storage, lighting, heating, and cooling. Hiring the right kitchen cabinet company is essential for homeowners if they want to create beautiful and functional kitchens. Bow Valley Kitchens can provide the kitchen cabinet solutions Calgary homeowners have always dreamed of. 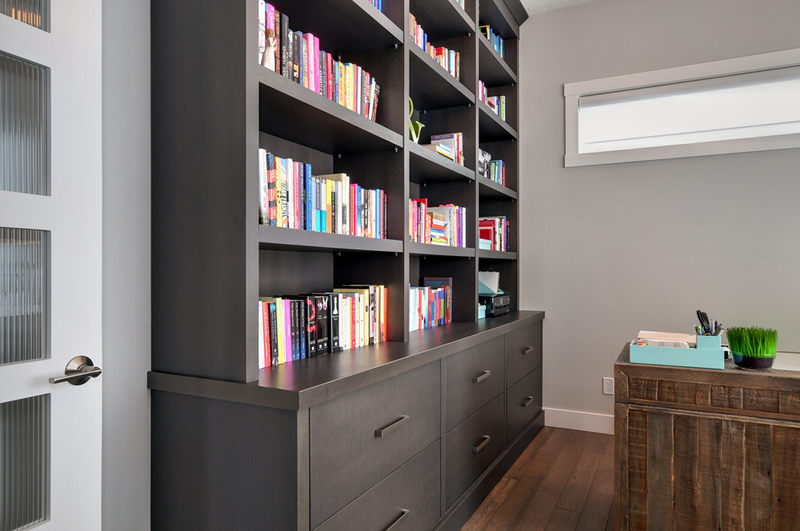 They provide the best cabinet solutions to homeowners in Calgary for all their cabinet needs at affordable prices. As the leading provider of kitchen cabinets in Calgary, they cater to specific individual needs with professionalism, efficiency, and unparalleled attention to detail. Bow Valley Kitchens provides a wide range of cabinet solutions for kitchen renovation projects so that the kitchen projects are always completed to the clients’ highest satisfaction. Bow Valley Kitchens can provide the kitchen cabinet solutions and custom cabinet ideas Calgary homeowners want to have a kitchen with custom kitchen cabinets that will not only increase the value of a home, but also make the kitchen a very beautiful space. Working with them will help the homeowners find the right look for their kitchens, choose custom styles, and add their own personal touch to the kitchens of their dreams.